When iron or steel is aluminized, the product looks silver white and it’s surface become smooth. 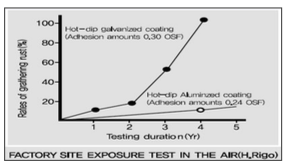 This is because coasting layer consisting of aluminum is covered with a very thin oxide film(Al2O3). 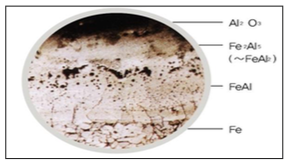 System of coating layer is formed in order from the top Al2O3, Al layer and FeAl3. Basic metal consisting of forming iron or steel is closely and firmly adhered to alloy layer which takes the formation of tooth-like. 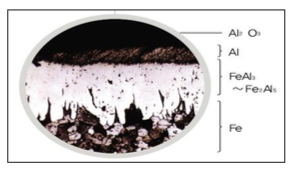 When aluminized product is heated in high temperature for hours the surface of Al layer is thermally diffused and changed into alloy layer then the first. 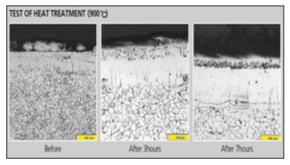 Heat resistance is exerted by alloy layer and the thickness of alloy layer which is diffused can be differentiated by coating thickness at the start, temperature and hours. Aluminum can be used for all kinds of silverware and structural steel and has high resistance to corrosion. The surface of hot-dip aluminum coating is completely coated by aluminum so it has as much resistance to corrosion as pure aluminum metal toward a corrosive. If an ordinary steel is heated over 550°C, scale is generated rapidly and finally the steel is vanished. In experiment, if an ordinary steel plate of 3.2m/m is heated in 1,000°C in becomes scale and in vanished in 32 hours. Also of an aluminized steel if heated under the same temperature of 1,000°C it can stand 364 hours and is identified to have about times of resistance to heat. When it is used if the actual factory it can be influenced by fuel, the structure of bath, temperature in use rapid cooling and rapid cooling and rapid heating etc. According to foreign statistic data, it has about 3~7 times of resistance. 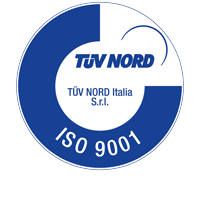 With careful handling and maintenance, excellent crucible life can be achieved. 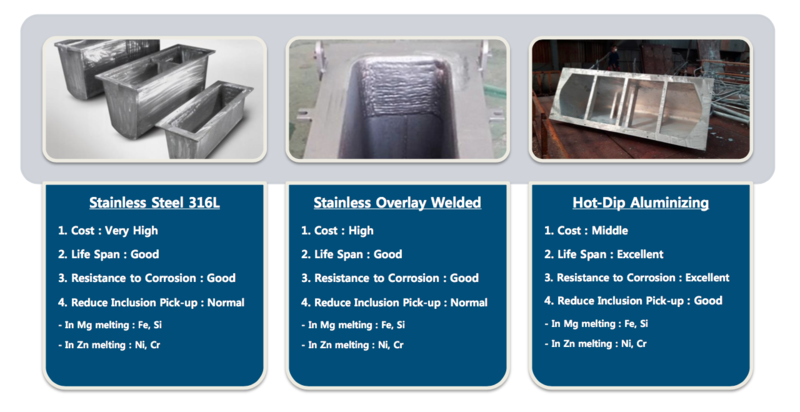 Corrosion resistance is better than Stainless steel crucible. You can save cost up to 40% compared with stainless steel crucible.